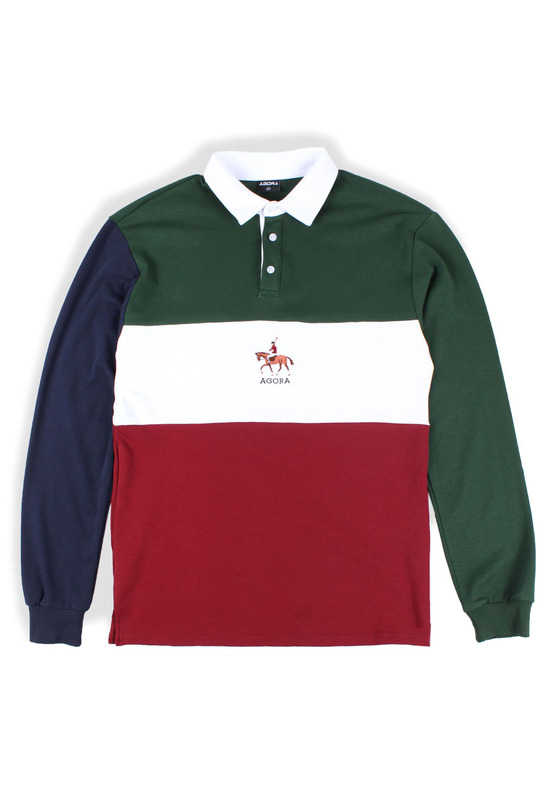 Agora Polo Rugby Shirt in colour block colours. Generously sized top made from a soft and lightly stretchy cotton jersey. Embroidered motif on chest.